Movavi Screen Capture for Windows XP - a tool for recording clips from the monitor screen and the possibility of further editing. The program allows you to set the size of the capture area in pixels, connect the sound effects of the OS or audio from a microphone, hide the cursor, duplicate keystrokes and set restrictions on recording time. The application can take a stream from a linear audio input, convert and save it into a separate file, supports the ability to create clips using imported materials. The tool allows you to trim video clips and superimpose text explanations on the finished project. 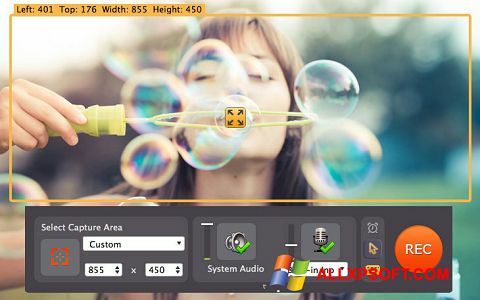 You can free download Movavi Screen Capture official latest version for Windows XP in English.